Let us not forget about the animals and bacteria that produce insulin and other meds for us humans. 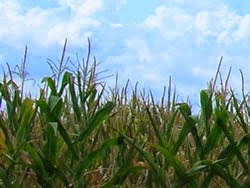 Corn plants that are resistant to insects have the promise of increasing a farmer's yield. There are downsides to GMO products, but there is much promise, too. See slide presentation on the top 10 GMO foods as presented by the Discovery Channel.